Hi there! I’m back with a new card I made for the Lawnscaping Challenge. 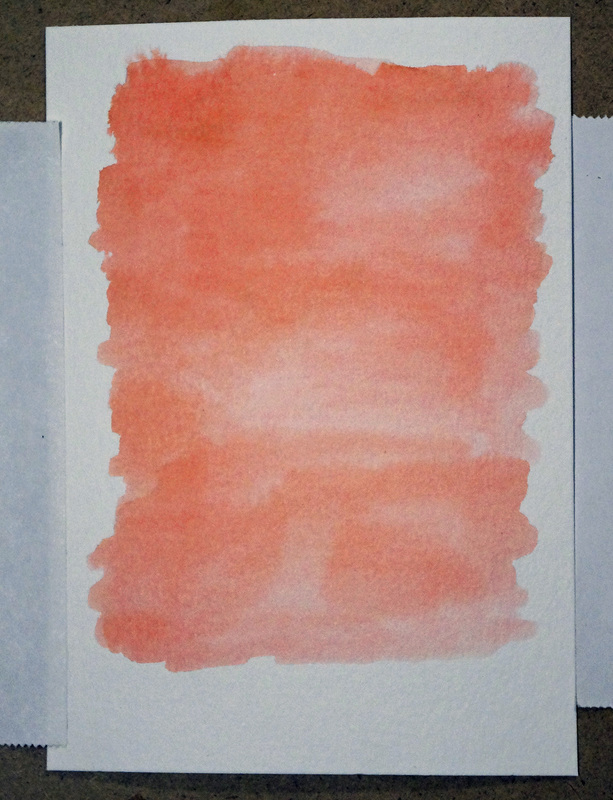 The theme for this challenge is watercolors. I wanted to use a Lawn Fawn stamp set for this card that I had never used before. I get so mad at myself for having so many sets that go unused for so long, so I’m challenging myself to use every set I have. I also ended up coming up with my own sentiment. 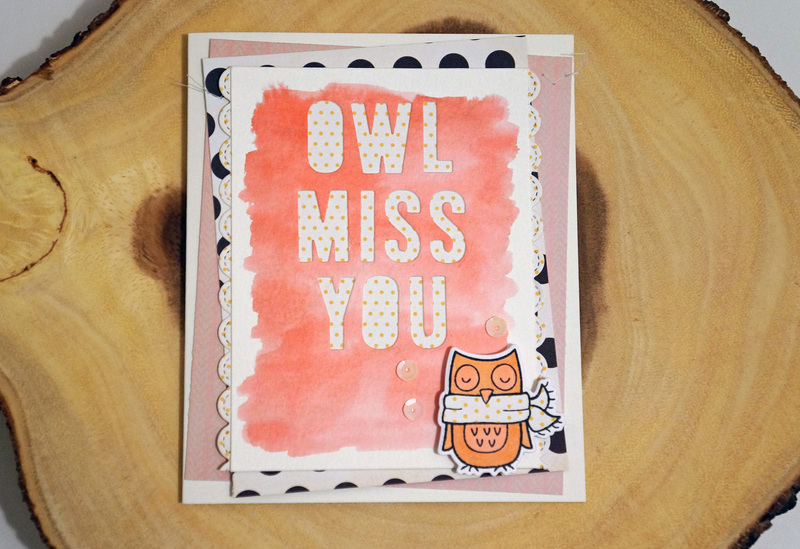 I don’t know how but I just thought of “Owl Miss You” as I was getting everything ready for the card. 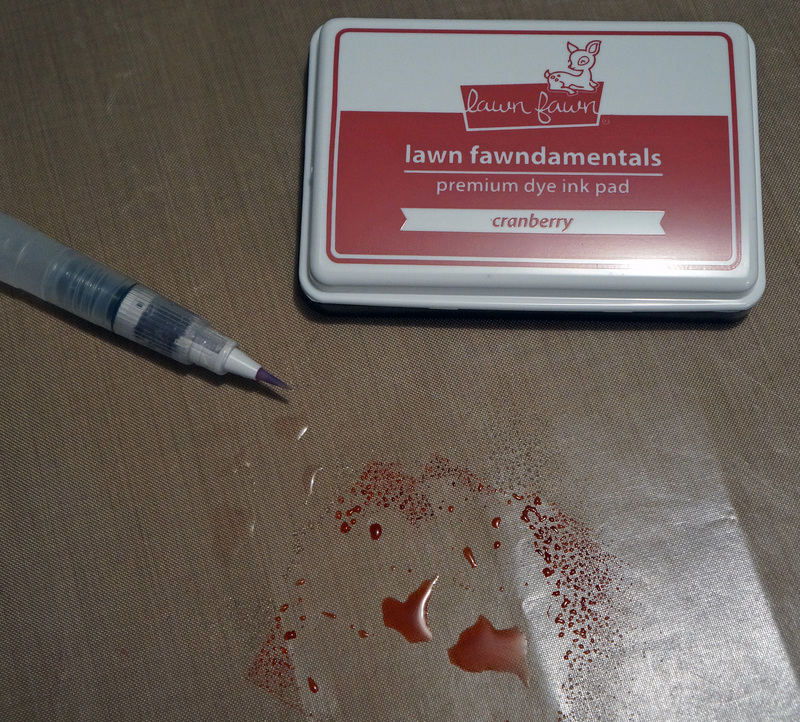 I made a watercolor background using Lawn Fawn’s Cranberry ink pad and my Ranger water brush. I went ahead and colored a big enough space for my sentiment and for the owl. 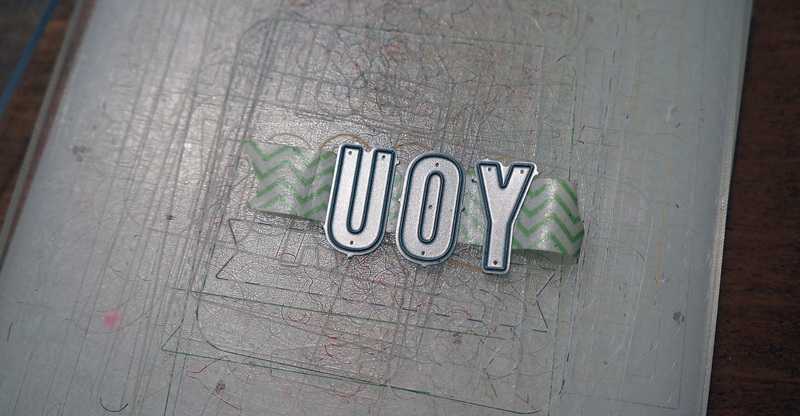 Whenever I decide to die cut words, I align them with a ruler and then add washi tape to the back and run it though my die-cutting machine. 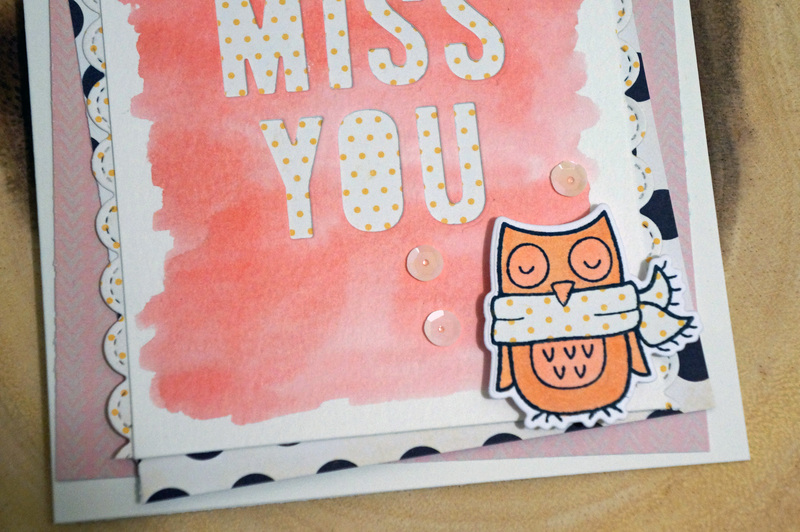 I added paper from the Simon Says Stamp kits I received for the months of February and March. I wanted to use fun colors and patterns. I used Lawn Fawn’s Stitched Scalloped Border dies on one of the papers, and I sewed across the top with my sewing machine in a zig zag pattern. I wanted the owl to have a matching look to the paper so I colored it in soft colors with my Copics and I cut out the scarf with matching paper. I added a couple of sequins to finish it off. I’m glad I finally used my owl, I definitely went through an owl phase a while back. 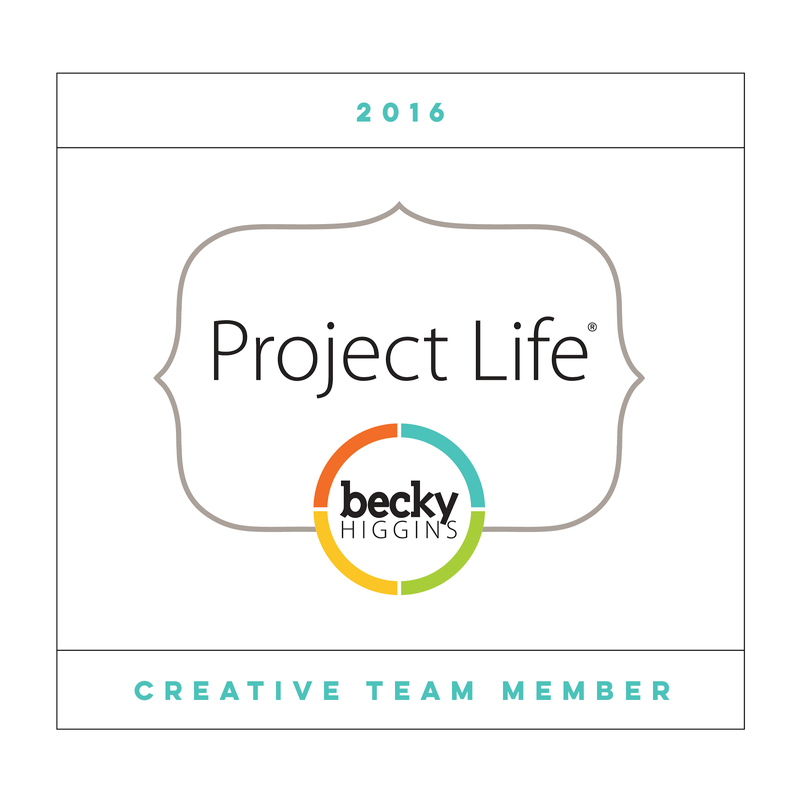 I think I’ve had this for a year and hadn’t used it! And of course, right now I’m in my duck phase and I’m definitely on the lookout for some duck stamps. That’s it for now, I hope you guys enjoyed! Amazing card! I love everything about it. The owl is adorable and I love the polka dots! Thanks for playing the Lawnscaping Challenge!